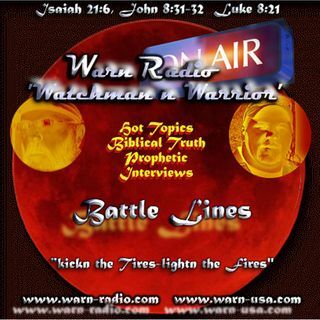 Apocalypse: Johns Revelation of Jesus Christ Pt6 "Sealed"
Books by the Watchman Dana G Smith! Apocalypse: Johns ... See More Revelation of Jesus Christ Pt6 "Sealed"
Heading into this prophecy we find the sealed, herein lay mystery and real truth of what is coming to the earth. We report on it every week, we cover it and have covered it in news articles, radio shows, and in our daily conversations. This is Christian persecution. The world of nations is an enemy of the Gospel. Revelation reveals just how this battle is going on. There are those who belong to the Lord and those who do not. It is a battle of light and darkness; righteousness and evil! This week we discuss and look at the sealing of the tribes of Israel in Revelation 7 and what this means about Christians.